They year of 2012 witnessed China’s remarkable achievements through reform and opening-up and the modernization drive. In order to enable readers to have a clear and comprehensive understanding of China’s development and ways in addressing the hot issues in 2012, and on the basis of China’s overall development in 2012, we give a succinct, objective and systematic introduction to China’s development in 2012 respectively in the fields of financial development, social management, the development of science, education, culture and sports, resource and environment, the development of agriculture, rural areas and farmers, and people’s well-being. 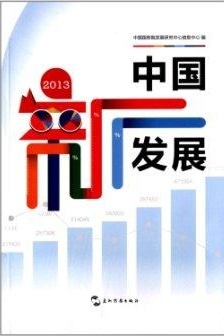 It is hoped that this book could give readers a general picture of China’s development in 2012. This book includes six chapters. Chapter One: Financial and Economic Development. After China’s economic growth entered the stage of structural adjustment, the government is striving to promote the development of industrialization, urbanization, IT application and agricultural modernization. For this end, the government has increased investment in infrastructure, improved property taxes to consummate the tax regime, made efforts to control financial risks resulting from “shadow banks”, advanced RMB internationalization through currency swap, formulated a new blueprint for China’s foreign trade and worked hard to realize China’s third industrial revolution at every opportunity. Chapter Two: Social Management. With the advance of social management, community construction has made new progress: Internet management has been further regulated, innovation has been made in food and drug regulation and institutional mechanisms, household registration system has made substantial progress, the registration and management system of social organizations has been pushed forward in an orderly manner, and basic public services have been clarified. Chapter Three: The Development of Science, Education, Culture and Sports. In 2012 the social research and experiment expenditure exceeded one trillion yuan. Scientific innovation has boosted economic growth, safety projects relating to school building have been basically accomplished, numerous measures have been made to uphold education equity, multi-layered educational system has been improved, reform tasks in the cultural system have been fulfilled, and public cultural services have enabled the entire population to share in the benefits of development and brought about a new look in public fitness programs. Chapter Four: Resource and Environment. Ecological civilization projects have taken a lead in China’s green development, environment protection and energy conservation boosted by various measures have made swift progress, the special schemes and plans for energy development and shale gas development have been launched, natural gas is experiencing a large-scale development, deep sea oil exploration has made a start, nuclear power projects have been resumed, the adjustment of rare-earth industry has been carried on, the price of resource products has been gradually sorted out and the comprehensive treatment of air pollution has made positive headway. Chapter Five: The Development of Agriculture, Rural Areas and Farmers. This chapter touched upon issues relating to grain production and farmers’ income increase for nine consecutive years, new progress made by agricultural science and technology, the consolidation and reinforcement of agriculture as the foundation of national economy, the improved regulation of rural land management system, the enhanced agricultural financial services, and the emergence of new type of commercial farmers and agricultural cooperatives. Chapter Six: People’s Well-being. It gives an illustration of the initial goal of doubling urban and rural residents’ income, and a full coverage of social security program for the entire population. It points out that government-subsidized housing construction should focus on both progress and management, the new medical reform is facing the challenge of making new breakthroughs, the social old-age insurance system has taken initial shape, and the strategy of providing employment opportunities still enjoys priority in government working agenda. his book gives expression to the research findings in related fields by researchers of the Information Center of the Development Research Center of the State Council. Due to festinate time and limited knowledge, there may be unavoidably mistakes and errors in the book. It is hoped that any comments from dear readers are sincerely welcome.